Bouchra Jarrer has today been confirmed as the new artistic director of French fashion powerhouse Lanvin. Following in the footsteps of the legendary and loveable designer Alber Elbaz, whose shock departure from the label back in October rocked the fashion world, Jarrer will officially join the Lanvin team on Monday and her first collection for the house will be for Spring/Summer 2017, which will be shown in Paris in October. Previously studio director at Balenciaga and head of couture design for Christian Lacroix, Jarrer has a pretty healthy CV, packed full of stints at heavyweight brands. She also heads up her own eponymous couture label – which by the way is totally dreamy, as you can see below. Unlike Elbaz who headed up both men’s and women’s collections, Jarrer will focus solely on womenswear. 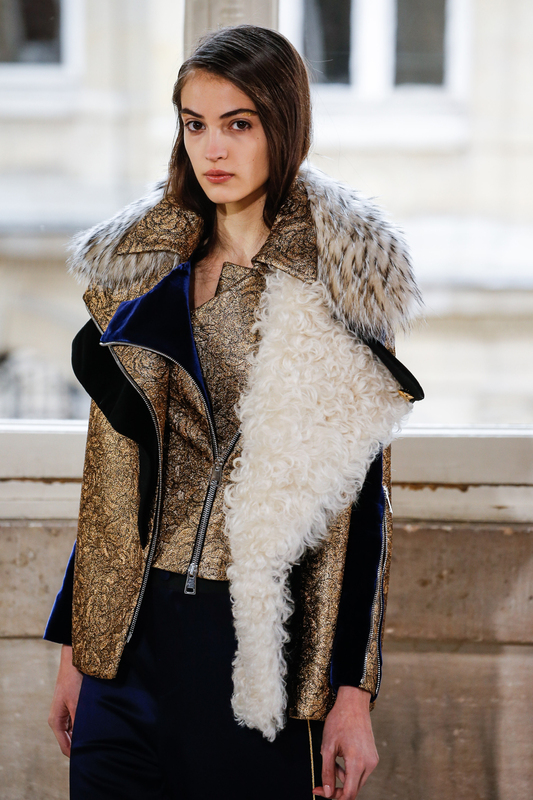 The news comes during a turbulent time for both Lanvin and the fashion industry as a whole. This season the French label was without any creative director during Paris Fashion Week – as was another megabrand, Dior. While Lanvin’s AW16 collection (which was shown only a matter of days ago) was created under the direction of Womenswear designer Chemena Kamali and accessories designer Lucio Finale, Dior’s show was credited to the house’s design team as a collective. Meanwhile over at Balenciaga there was more change afoot as Alexander Wang was replaced by Vetements’ Demna Gvasalia –the man who recently found himself the focus of a flurry of praise from Kanye West via one of his now legendary Twitter outbursts. In a season where creative director shake-ups are becoming quite the norm and Burberry showed its first ever seasonless collection, fashion is proving to be more unpredictable than ever.